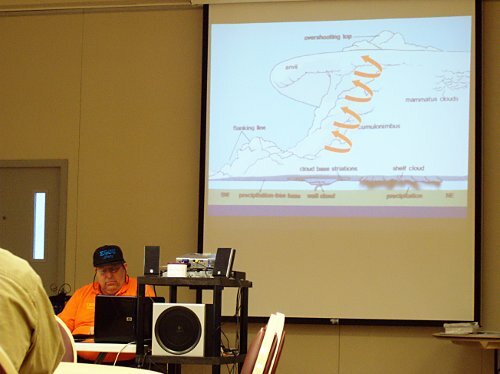 Ben (N2BEN) and I attended the Skywarn class in Litchfield, MN today. Above - KG0U explains updrafts and the rain-free-base. 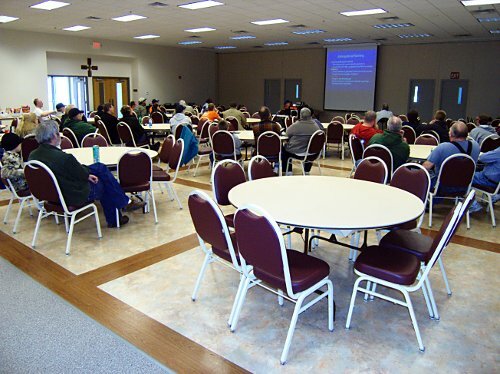 Below - Pretty nice attendance levels for a rural county. There are quite a few more Skywarn repeaters on the map that are not on my list. The map is pretty good.